How Does NetSuite Fit Gartner’s Definition of Postmodern ERP? 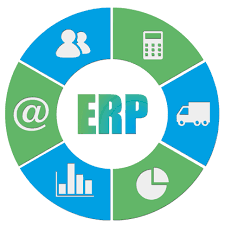 From its origins in manufacturing resource planning to the move from the mainframe to client-server to its migration to the cloud, ERP software has gone through plenty of change. So how does NetSuite fit that description and what does that mean for customers, future customers and the product itself? NetSuite does not appear to be a catch all ERP system according to their definition of the next evolution. Yet, the underlying notion of operational capabilities that balance integration with flexibility and agility are clearly NetSuite’s sweet spot. We’ve been talking for years about the importance of flexibility and agility. In fact, in many ways that’s more important than functionality at a time when businesses are adopting new business models, moving from products to services, or entering new geographies or markets faster than ever. The pace of change demands that sort of speed and agility. Indeed, many companies are still paying the price for their on-premise ERP systems that have been customized over a decade or more. For cloud ERP systems like NetSuite, however, customization is no longer a dirty word. While customization on legacy systems holds many businesses back, requiring excessive time, resources and business disruption if they ever wanted to upgrade to the latest functionality, customizations to the NetSuite platform carry forward automatically. Businesses can look to their ERP provider for their core functionality, but extend it in the method that works best for them. They can define their system by how they want to define themselves. Moreover, with the SuiteCloud Developer Network development platform, businesses have access to a huge ecosystem of partners that extended the functionality of the suite, while pre-built integrations into leading cloud and on-premise solutions provide the loosely coupled environment that Gartner advocate, should they choose. For example, AMEX GBT, one of the world’s largest travel agency networks, saw an opportunity when it spun off from its parent company to run its business in the cloud entirely, choosing NetSuite as its ERP system and integrating with other SaaS systems for CRM, HR and billing as it expands across the globe. Meanwhile, custom-tailored clothing retailer Alton Lane, is using NetSuite to deliver highly personal customer experiences at showrooms across the country. We believe Gartner is suggesting that businesses stuck on heavily customized, on-premise ERP implementations should focus them on system of record capabilities, while integrating with other systems to provide differentiating processes and innovation. We say they don’t have to. Make NetSuite your system of record, customize it all you want and integrate with a rich community of partners.